my wife has a tradition of inviting our families over for homecooked dinner on CNY second day. we had 26pax. in 1 of the dinners previously i made them a spanish omelette, a potatoes & onions egg omelette. 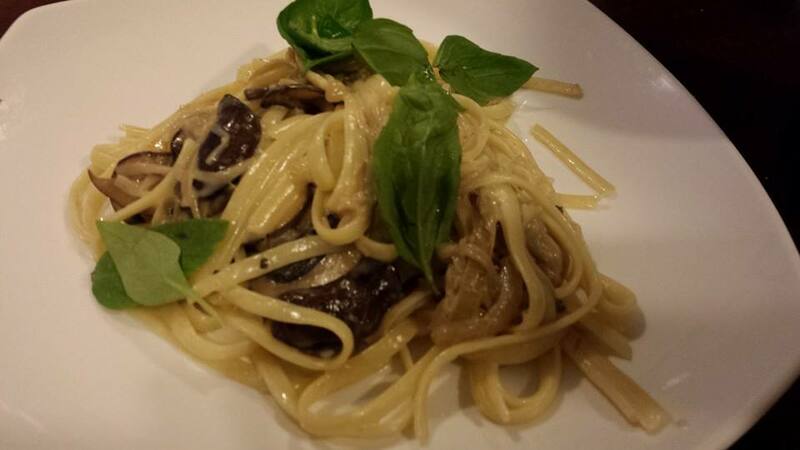 this time i made them a fungi linguine. i would prefer button mushrooms but i only had shitake. still, the mushroom flavours were very intense. the linguine was al dente & just the right texture. i added about 3 tablespoons of heavy cream to about 200g pasta. it was smooth & not too creamy. pasta was quite excellent. my sister-in-law was also vegetarian, and my niece’s husband took a second helping, so it managed 4 average portions & 1 portion left shared by my nephew & wife. mushrooms were first slightly caramelised with pinch of salt over medium heat. then chopped onions added & softened. 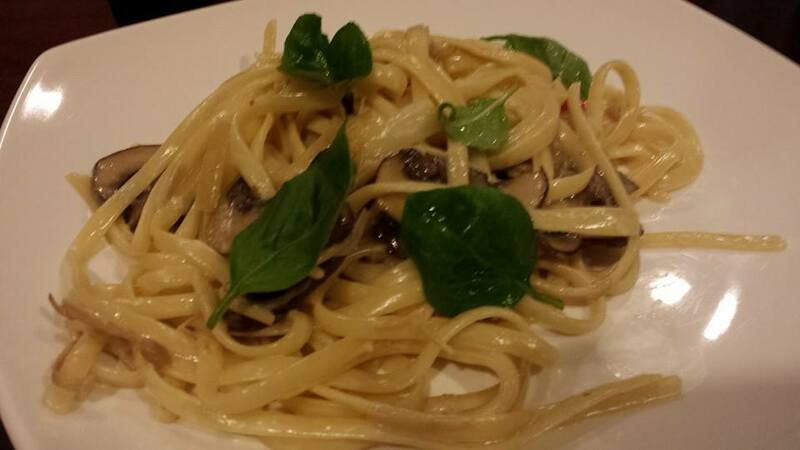 linguine was done just slightly below al dente, placed in ice water to halt cooking & drained. 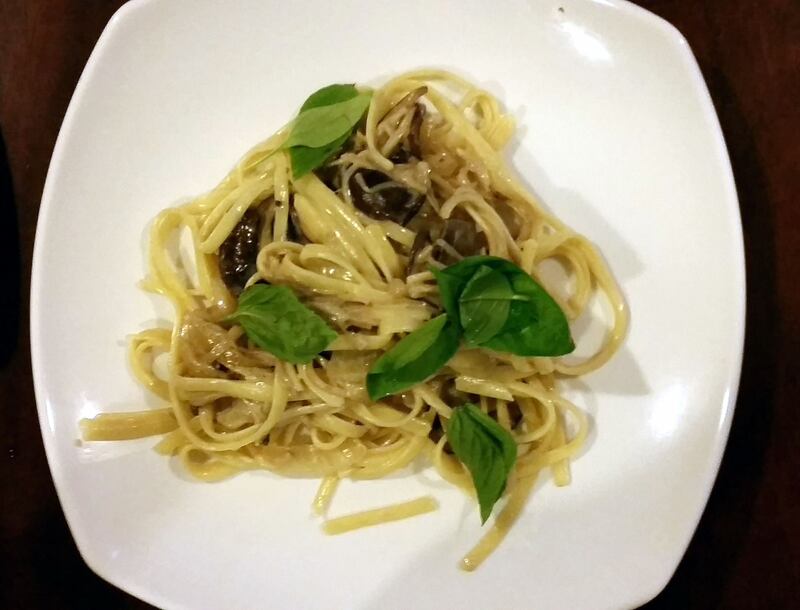 when serving, add browned garlic with olive oil to pan, add mushrooms & onions to pan, add white wine, add linguine & cream, off the fire & toss. add sugar & salt if required to taste. This entry was posted in Recipes and tagged al dente, button mushrooms, chinese new year, funghi linguine., funghi risotto, mushrooms, potatoes & onions egg omelette, shitake, spanish omelette, vegetarian. Bookmark the permalink.